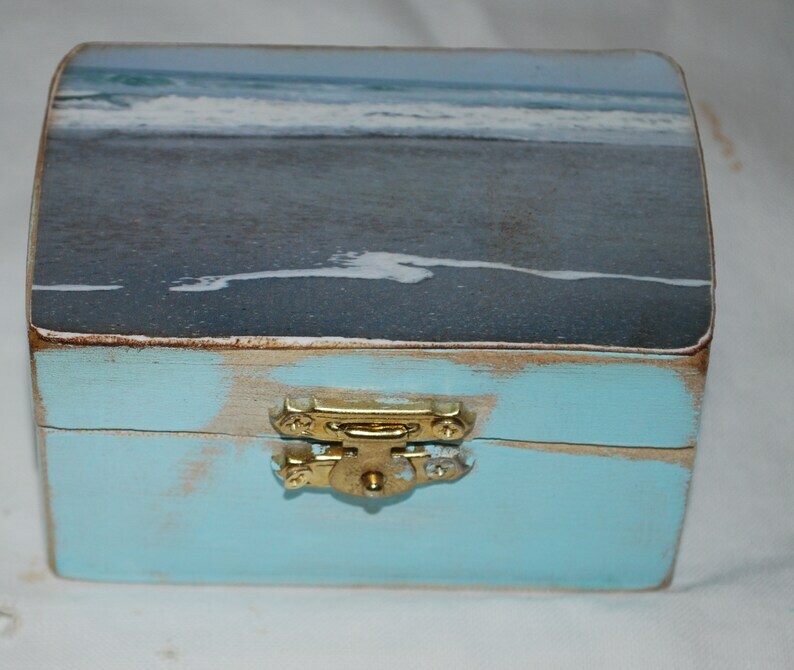 This little mini beach box is a gem! The photo on the front was taken by me in Huntington Beach, California. The outside has been painted a pretty beach blue and has been sanded down to give it a weathered beach feel. 2 x 3.5 and it is 2 inches deep. This can be used as a keepsake box, a memory box, a treasure box or a jewelry box. Whatever you use it for it was designed for the beach girl at heart!